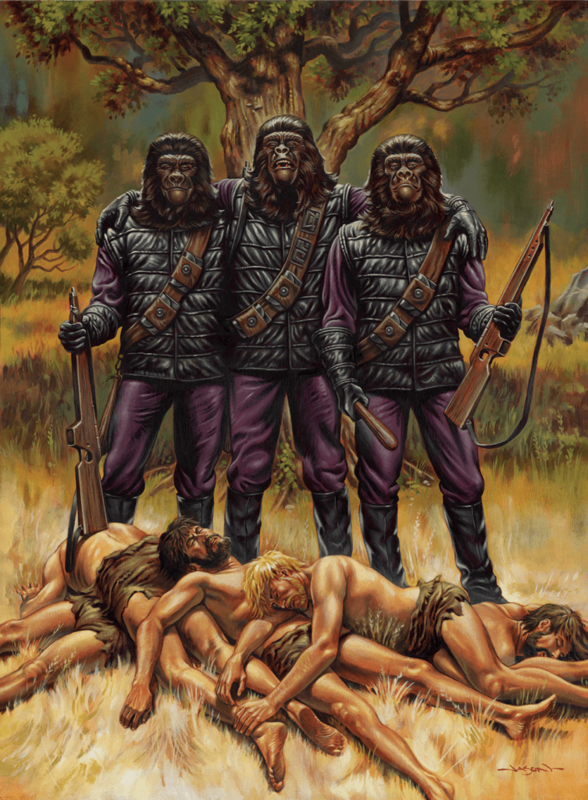 This painting is inspired by the scene at the beginning of the first Apes movie. Gorilla soldiers are standing posing for a photo after the great human hunt. This is the view from the photographer’s perspective.